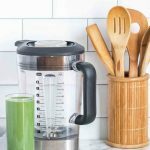 Best Blender: Top 5 Best Blenders For Smoothies and Ice-Cheap On Budget: Do you love smoothies? Your kids crave for ice-creams and smoothies, but you often stop them just to avoid the unhealthy drinks outside which contain harmful preservatives. Well, you don’t have to worry about it anymore. Just at an affordable and low price under your budget, we get top 5 Blenders which make it easy for you to create delicious drinks in seconds. These multi-purpose blenders are what you need to make simple and healthy smoothies at home. Now that you went through the things you must know before buying a blender, here we get top five best blenders for smoothies and ice which are not only cheap on a budget but also are of best quality in the lot. Here comes the Fifth Best Blender on our list. With 1000 watts of professional horsepower, the Ninja Professional Blender 1000 comes with an XL 72 oz jar, which will be enough for you to make drinks and smoothies. The jar is made of plastic and is BPA free. Here is our fourth best Blender from Ninja, which comes with a 900 Watts Horsepower. The blender also has a 30 recipe and wellness guide attached with it. This could be your desired blender if you are going to use it once in a while. Here comes the third best blender on our list. Breville BBL605XL Hemisphere Control Blender is the perfect choice if you need to blend some or the other thing on an everyday basis. This product is declared as one of the best blenders of 2015-16, which comes with a hemisphere control that minimizes food traps and avoids constant attention from you to mix up the ingredients by hand. With an electronic 5 Speed control and pulse will help you check out the rpm speed. The jar coming with this blender is plastic(BPA free). The product comes with a ring pull lid with the jar, for easy removal. Ninja Professional Blender (NJ600) stands at the second position in our list with a considerably low price and awesome features. The product comes with a 1000 watts horsepower, Ninja 6-blade technology and easy to wash jar with a 72-ounce pitcher. The blender crushes ice very efficiently into a smooth powder in a matter of seconds. We place the Magic Bullet NutriBullet 12-piece High-Speed Blender at the top most position for its ultimate features and cost effective package. Though the product comes with a 600-watt horsepower, it comes with a multi-purpose package which can be used for not only blending ice and smoothies but also frozen food items and vegetables in the matter of few seconds. With multiple jars and matching blades, this is the most desirable and efficient blender you can choose. Has a power base, 1 Tall Cup, 2 Short jars with blades. Read the instructions thoroughly before using the blender. It is extremely necessary that you know the features of your blender before using it. Make sure you choose a Countertop Blender if you are specific about Smoothies. Countertop Blenders come with a large jar which is ideal for large quantities, smoothies, and crushing ice. Beware while checking out the horsepower of the blender. Many product ads can trick you by showing you the peak horsepower, which is not the exact horsepower. Check the wattage directly, to make sure that the power of the blender is sufficient for your requirement. Carefully observe the blending controls which manage the speed options. Some blenders may have only three speeds while the other may have specific speeds for puree, blend, smoothie and food. Most of the blenders are manual, the speeds have buttons, which you have to press and hold till the blend is done. You can go for the automatic blenders, which do the task for you. The material of the jar is one of the most important aspects of a blender. Three types of jars are generally offered to you. Glass, Plastic, and Steel. Glass jars are very easy to clean, but since they are very heavy, one drop and they are gone. Plastic jars are comparatively easy to carry, but you have to choose a BPA-free plastic jar for your blender. Stainless steel jars are also easy to clean and carry, but you cannot see the status of your blend, and it gets clumsy as you have to turn off the blender again and again to check if the task is done. If you are going to use the blender once in a while, cheap ones are good for you. 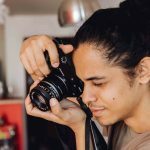 But if you are willing to use the blenders every day, you have to go for the better quality and let go some extra bucks for getting a safe and friendly blender. So don’t stop yourself from taking a sip of the sweet and delicious smoothies. Prepare a glass yourself, which is lot healthier and tastier than the one you get outside.